The idea of moving into a lavish and unique old home appeals to many different people, regardless of its size or location. It could be an old Victorian terrace, an apartment in an old factory, or a country mansion – whichever your preference, there is something about living somewhere that is steeped in history that a lot of homebuyers are attracted to. The trouble is, not every old home is suitable for our modern lifestyles, and you may even have to make a lot of sacrifices to get the house of your dreams. 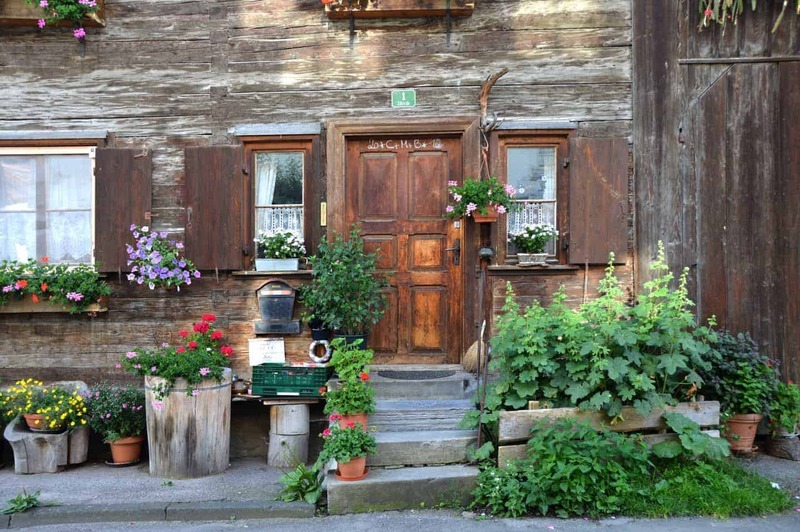 One particular example is the fact that the rustic, ancient cottage you love in the countryside isn’t connected to the local sewers and requires a septic tank. Another would be the fact that if you buy a listed property, there are enormous restrictions on the renovation work you want to do once you move in. That said, there are a few simple things you can think about if a 100+ year old dwelling is at the top of your dream home list. It’s a simple case of mixing the ancient and modern, and the concepts are the same whether you move into an old country bungalow or a renovated church. Let’s take a look at some clever ways to use contemporary design to create an amazing – and modern lifestyle in an old property. First and foremost, you will need to establish what you can – and can’t – get away with when it comes to renovating your property. There is a lot of bureaucracy involved here, unfortunately, but it’s not something you can ignore. You will need to pay for an in-depth assessment, including a structural survey, long before you hand over your money and buy an old home. It’s important to have a good idea of the amount of money you will need to spend just to get the property up to date in the most basic way. For example, don’t forget that many old homes only have a downstairs bathroom, and you may not be allowed to build an upstairs alternative if the property is listed or in a conservation area. Also, be aware that there could be a lot you need to spend your money on before you even get started with introducing things like paint, wallpaper, and expensive furnishings. There is no point splashing out on expensive furniture and pieces if the holes in your damp issues are going to destroy them within a few months! OK, so now let’s get down to the fun part – introducing new, contemporary design into your old home. 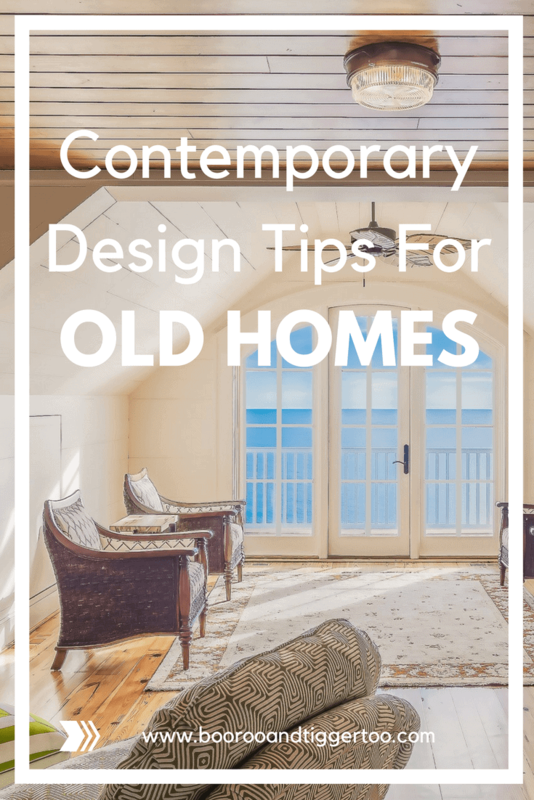 What you need to remember here is that it is very easy to overdo it when it comes to revamping – and doing so could even reduce the value of your home. So, your main goal should be to honour the history of your house. There will be some fantastic areas of the home – timber beams or unique alcoves, for example – that you need to utilise to your advantage. Think about repairing rather than replacing as much as you possibly can, whether it’s a dingy fireplace or a broken staircase. The old phrase ‘they don’t make them like they used to’ definitely rings true when it comes to houses, and you should always investigate the option of repairing rather than tearing everything out and starting again. There will be some parts of the house where it just isn’t possible or cost-efficient, of course, but the reality is that many of these jobs will be much cheaper than you think. Timber floor specialists, for example, will only charge you somewhere in the region of £30-40 per square metre to get your flooring looking fantastic – which is something similar to the cost of having new tiles laid down. When your home was first built, there were none of the plethora of modern devices we all use today. And when you think about it, these devices take up a lot of room – not just in our lifestyles but in our houses, too. TVs are enormous, we need a lot of sockets in the wall to plug-in phones, tablets, and other electronics, and we need a good space for a PC or Mac, too. And we haven’t even started to mention the white goods we all need for our kitchens yet – old kitchens were simply not built for dishwashers, washing machines, and dryers, or even fridges. The truth is you are going to have to be clever and cute about how you install these modern gadgets in your house. Instead of using your main kitchen area, you might have to renovate a separate area to use as a utility room and keep your white goods in, for example. You will need to look at a wide range of TV cabinets – or even consider hanging it on a wall – to ensure your telly fits in with the overall feel of the house. You might even find that buying a projector works a little better for you as it is a lot more subtle than a 60” screen that is always there, whether you are watching or not. If you are going to introduce modern furnishings to an old home, it’s always best to keep things as simple as possible. There are a few good reasons why. First of all, many old homes are a lot more ornate than their contemporary descendants. Look around at your door frames, staircases, and window frames – they are often hand crafted and finished to perfection. Beautifully carved decorations like this are a real feature of older properties, and if you can introduce a simple, modern aesthetic rather than looking at ‘on trend’ or intricate pieces, the overall effect will be stunning – the home remains the star of the show, rather than items you pick up and decorate with. For example, a modern, simple glass table in a dining room with ornate trimmings will allow the architecture and design of the home to speak for itself, and there isn’t any need to be overly opulent with the furnishings. Do you have an old home? If so, how do you introduce modern lifestyle furnishings in it, and what problems have you faced in the past? Let everyone know your thoughts in the comments section below!